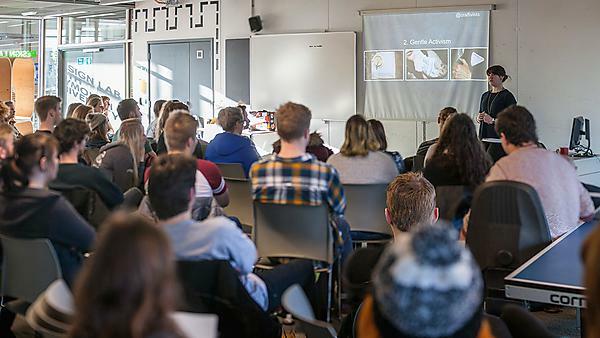 This one-day symposium showcased research into adult education from across the UK, highlighting issues affecting mature learners (over the age of 21) and adult learners returning to education and was jointly supported by PedRIO and SCRUTEA. Themes: age, induction, decision-making, family commitments and pedagogical practices. For example, what do we know about the impact of different pedagogical approaches on mature learners and how do lone parents experience higher education? A focus on this area of education is needed not only to improve the student experience, but increase retention rates. The event was of interest particularly to those involved in supporting and researching mature and adult learners from across the disciplines, who wished to share research approaches and ideas, as well as stimulate potential collaborations. Charlie Sutton (University of Leicester): Does Age Matter in Higher Education?